WOW perfectly describes this beautiful 3 story home conveniently sitting on one of the largest resort community pools along Scenic Hwy. 30A. Recently repainted exterior and interiors. 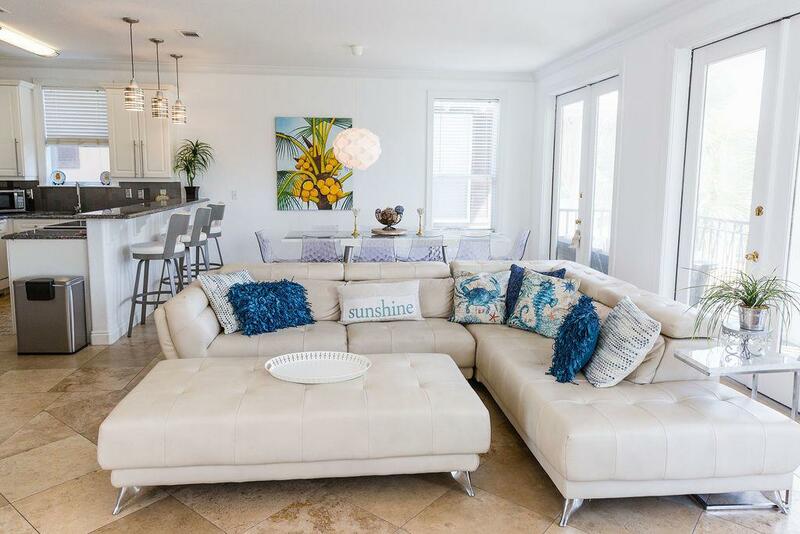 Light, bright, open and spacious defines this beach vacation home. 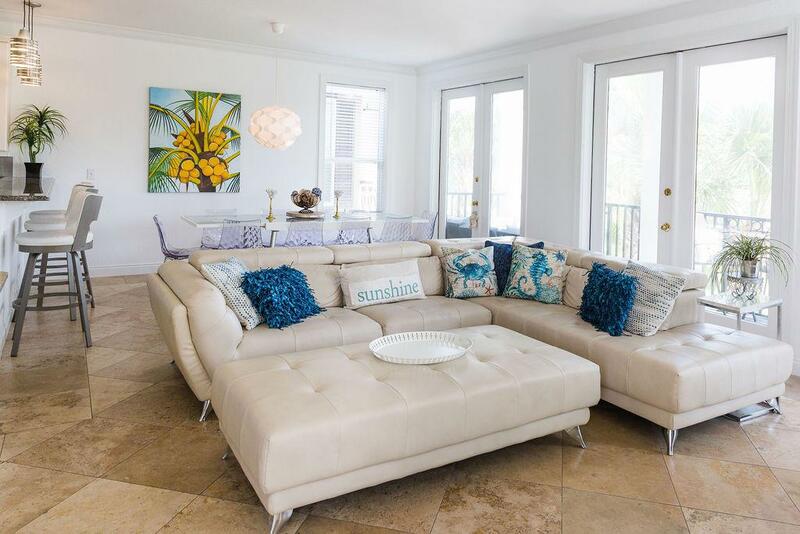 Lovely modern touches throughout gives this home that Miami Beach feel. 1st floor features a double car garage GAME room with table games, TV, sitting area and much more, ideal to keep the kids busy! 1st floor ALSO includes a full guest apartment that leads out to it's own private patio. Apt has it's own full sized kitchen, full private bathroom with tub shower combo and a double trundle sofa bed PLUS a four bunk bedroom with 2 twins & two doubles. 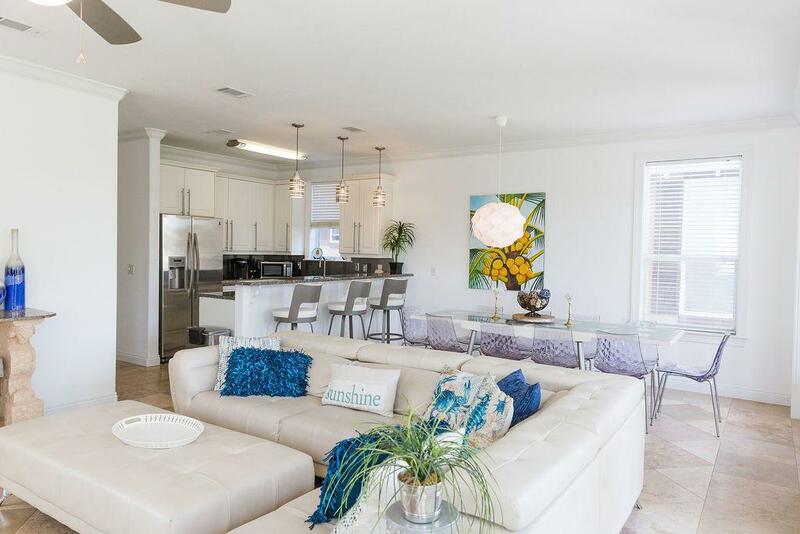 2nd floor is the main floor featuring a large Great Room with super views looking out overthe 12,000 square foot community resort pool, fully equipped kitchen with stainless appliances, large dining area plus your own bar set up! Great room is expansive and is ideal for large gatherings! Step out to the balcony and sit a spell, enjoy the gulf breezes while having coffee or refreshments. Main floor includes a guest bedroom with two Queen beds, laundry room and full bathroom with private tub shower combo. 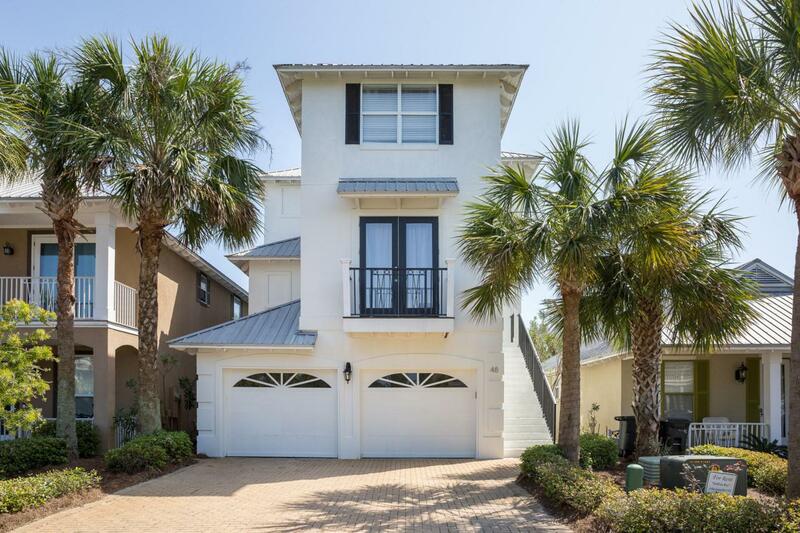 3rd floor features your huge Master bedroom that opens out to a lounging balcony that overloops the resort style pool, also features a private en suite bathroom, walk in closet, double sinks, soaking tub and separate shower. 3rd floor also features a large guest suite with King bed, private en suite full bathroom plus a baby bed for the little ones. This home has it all! More pictures on the way! Buyer to verify all information.